Dr Alessandra Clementi, MD, GP is a Family Physician graduate of Ancona Medical School (Italy) and trained in Family Medicine in Marche Region (Italy). 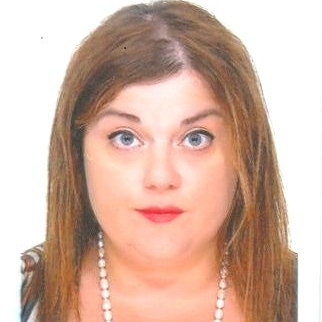 After 15-year clinical experience in Family Medicine in Italy and UK (GMC-UK-GP Registerered), in 2013 she joined Nazarbayev University as Assistant Professor of Practice, earlier in the Department of Biology (SST), then since August 2014 in the School of Medicine (NUSOM). She joined the School of Medicine from its start and she contributed to develop, teach, and assess many courses of the MD program in Year 1-2-3. She is Block Lead of three Blocks, “Patient Care I and II”, “Patient, Physician and Society” comprehensive of a total amount of 12 courses. She is Course Lead and/or Block Lead of the following courses: Basics of Medical Interviewing, Advanced Medical Interviewing, Medical Ethics and Professionalism, Behavioral Medicine, Introduction to Psychiatry, Basic Physical Examination and she is Director of the Family Medicine Clerkship. As a Professor of Practice she promotes the integration of academic scholarship with practical experience in the professional MD program. Dr Clementi is actively involved in Medical Education research, in particular in Multilingual Medical Education and Healthcare Communication through Standardized Patients. She serves on many committees, including the NUSOM Teaching and Learning Committee and the Curriculum Committee. She is leading Clinical Skills and Healthcare Communication Skills Curriculum in NUSOM. She supports the development of the Standardized Patients Program, including recruitment and training of English-speaking Simulated Patients. Her clinical interests include all aspects of Family Medicine with a focus on Healthcare Communication, Behavioral Medicine, Mental Health.